Our Community Health Entrepreneurs (CHEs) are from a mix of backgrounds and have varying levels of experience in health and business. Our onboarding training is designed to bring everyone up to the same level of knowledge and we support this education through refresher training and mentoring support. Meet Elesia Mshanga a 33 year old mother of 4 who has been part of the Live Well Community Health Entrepreneur network since October 2015. Elesia has been working in health since 2007 when she trained to become a Growth Monitor as part of the Government health volunteers’ network. Elesia’s passion to help others continued to develop as she later trained as a psychosocial counselor and TB treatment supporter. Elesia was previously involved with CARE’s PRISM (Private Sector Social Marketing Project) health programme and it was through this that she heard about Live Well. Elesia had built up many skills with PRISM and very much wanted to continue working as a health worker so the role of a Live Well CHE suited her well. Through her new business and entrepreneurship skills, Elesia has been inspired to start her own bag shop as well as buy a plot of land for her to build a house and earn an income through renting. Betty is a mother to 5 children including an adopted child and also looks after her mother and father who live with the family. Divorced, Betty receives no financial support from her husband and previously struggled to support her family. Since being part of the Live Well CHE network, Betty is able to provide food for her family and start to save to start her own business. 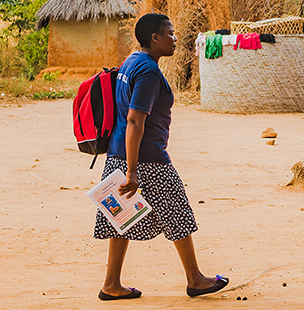 Since becoming a CHE in May 2015, Betty says that she has already seen improvements in her community with people now not needing to travel long distances to visit a clinic for minor illnesses. 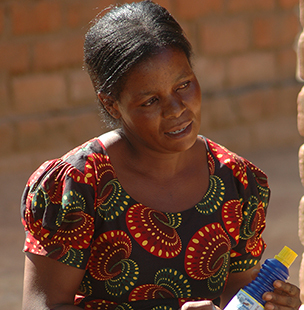 She has also sold solar lamps to many of her community members and seen how this has helped reduce the number of house fires that often occurred due to the use of candles.